As the leading crane service providers, we also offer a wide range of used cranes. these cranes have been procured from various parts of the world, such as Japan, America, Taiwan and Europe. Before they are delivered to our valued clients, our experienced team of professionals check and test so that no inconvenience is experienced during the services. Our ranges of cranes include telescopic cranes, mobile cranes, crawler cranes and hydraulic cranes. We at are engaged in providing services for Erection, dismantling, maintenance, shifting & transporting of heavy & Erection of Railway bridges through our Telescopic, Lattice, Crawler, Mechanical, Hydra & Crawler Cranes. We are part of all major projects came in to being. 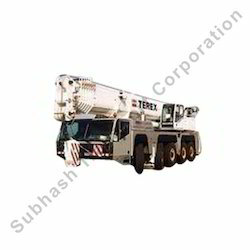 We provide terrain cranes on rental basis. 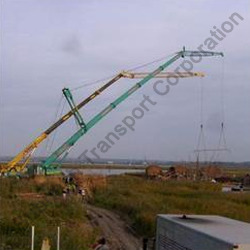 A mobile crane with the necessary equipment to travel at speed on public roads, and on rough terrain at the job site using all-wheel and crab steering. AT‘s combine the roadability of Truck-mounted Cranes and the manoeuvrability of Rough Terrain Cranes. 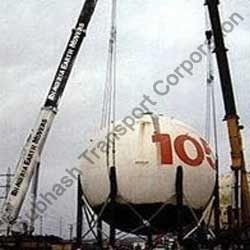 We have established ourselves as one of the leading Industrial Crane Service providers in the Indian subcontinent. Our services are highly appreciated for reliability, superior quality crane and friendly experts to handle and operate. 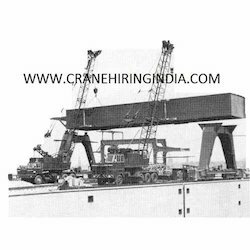 We also ensure that the cranes are of the finest quality and procured from the renowned suppliers and manufacturers. Our ranges of services include renting, hiring and also on the contract basis for various industrial applications such as cargo handling, erection structural and plant erection. 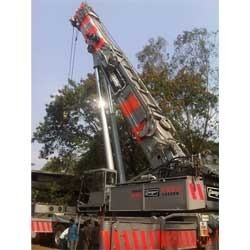 We are specialized in offering the world class Industrial Crane Rental Services, with the commitment to provide the best and most reliable crane rental services in the whole Indian subcontinent, we procure our cranes from the reputed craned manufacturers and suppliers. Our team of experts is always available for any kind of help during the services, and they will tackle and solve the problem in blink of an eye. These ranges of cranes have the capacities of 18 tones to 750 tones. Looking for Rental Crane Services ?